Who says the end of the world can’t be funny? In these apocalypse-obsessed times leading up to December 2012, we’ve seen the end of the world as we know it turned into a metaphor for plenty of different social and political ideas. 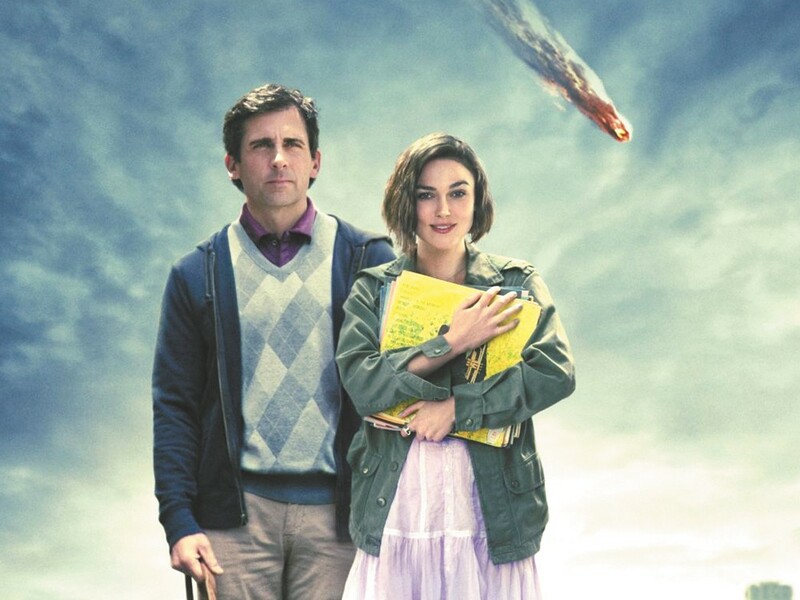 But in Seeking a Friend for the End of the World, writer/director Lorene Scafaria finds a hilariously heartbreaking vision of mortality itself. That heavy thematic foundation shouldn’t scare you away from this surprisingly weird combination of gallows humor and romantic comedy. The “meet-cute” takes place in the weeks following the announcement that the final hope to stop a massive asteroid from hitting the earth has failed, beginning humanity’s countdown clock to extinction. Dodge Petersen (Steve Carell) finds himself alone when his wife flees at the news. His neighbor, Penny (Keira Knightley), is similarly emerging from a failed relationship. So when Dodge decides to seek out his old high-school sweetheart, and Penny hopes to make it home to her family in England before the end, they hit the road together. Scafaria gets terrific mileage out of a look at impending doom that encompasses every possible reaction. Some folks riot in the streets. Some turn survivalist. Some hire assassins to put them out of their misery early, or simply take matters into their own hands. Then there are those see the bright side of an opportunity for consequence-free hedonism, like the guests at a hilariously inappropriate dinner party Dodge attends, or the employees of a Chili’s-style restaurant who turn their workplace into a nonstop rave. Nearly every situation Scafaria comes up with feels completely plausible, and full of unexpected laughs. But she’s also telling a story of the moment when regret catches up with the time left in your life. It’s almost incidental that the end of the protagonists’ lives is coinciding with the potential end of all life. The road trip set-up may be familiar — the premise is ultimately a funky melding of The Sure Thing and Melancholia, or perhaps It Happened One Night of the Comet — yet it works wonderfully thanks to Carell’s wounded performance and the slow build-up to his sense that he might have something left to live for. While Knightley isn’t as effective playing a variation on the manic pixie dream girl, she doesn’t have to be perfect. The beauty here is a tale of realizing that it’s never too late to do the things that give meaning to your brief, fragile existence.